The ShapeShift Shield 9 IWB holster is the latest step in concealed carry holster evolution. The ShapeShift is designed to address every limitation of traditional IWB holster design, delivering a more comfortable carry and easier concealment than is possible with other holster designs. The fit and retention are as good as could possibly be made. 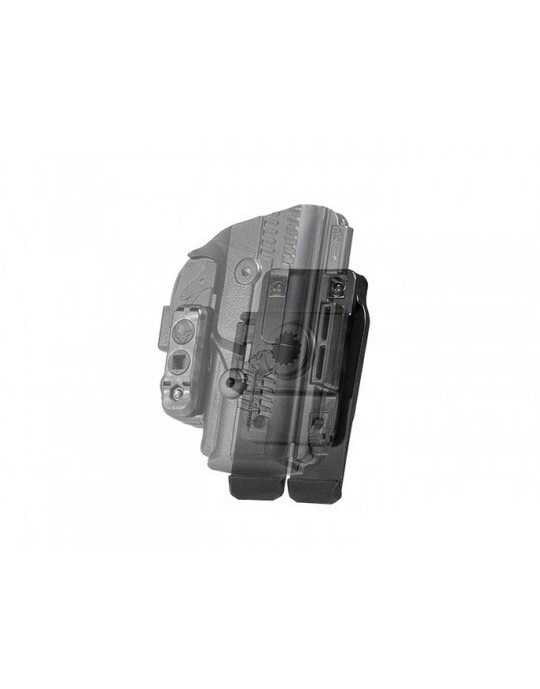 The ShapeShift Shield 9 holster IWB has a new backer, with a reduced footprint compared to other IWB designs, tucking easily inside the waistband and occupying less overall area. The backer of this Shield 9mm concealed carry holster has also been improved, with our new Cool Vent perforated neoprene. The new backing layer breathes and wicks away moisture, keeping you cool and dry compared to other IWB holsters. 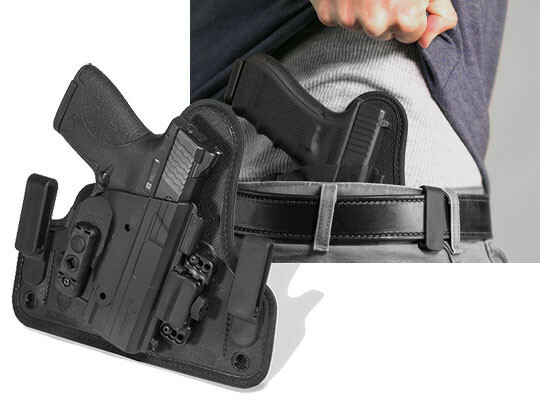 It retains the spring steel core, which flexes as the holster is secured to the waistline, anchoring to your side but flexing to fit your shape - carrying and moving with you. The new overlap stitching ensures no fraying will occur at the edges, and the new textured surface helps stick to your gun without interfering with the draw nor touching the finish. 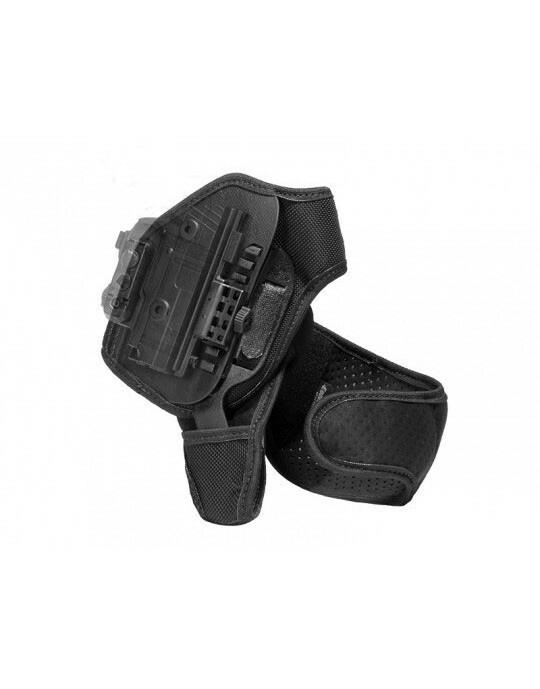 The new ShapeShift Shield holster shell fully wraps the trigger guard, keeping the pistol safe. 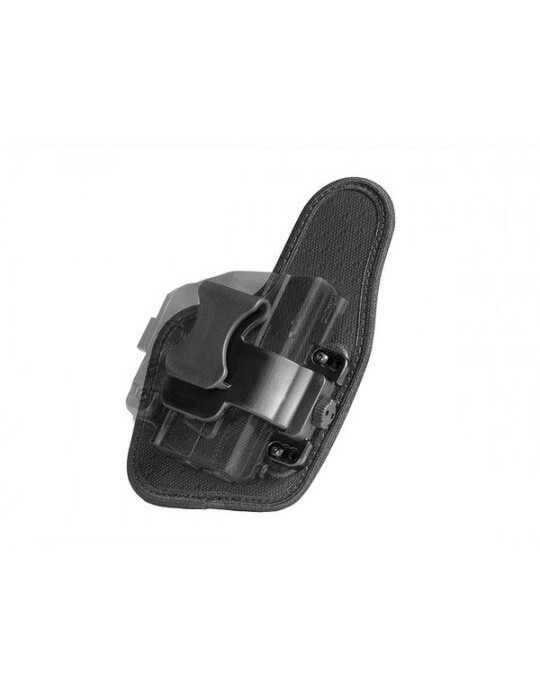 Combined with the Adjustable Retention Unit, which lets you dial in passive retention to your exact desired setting, you won't find a holster that fits or retains this perfectly. 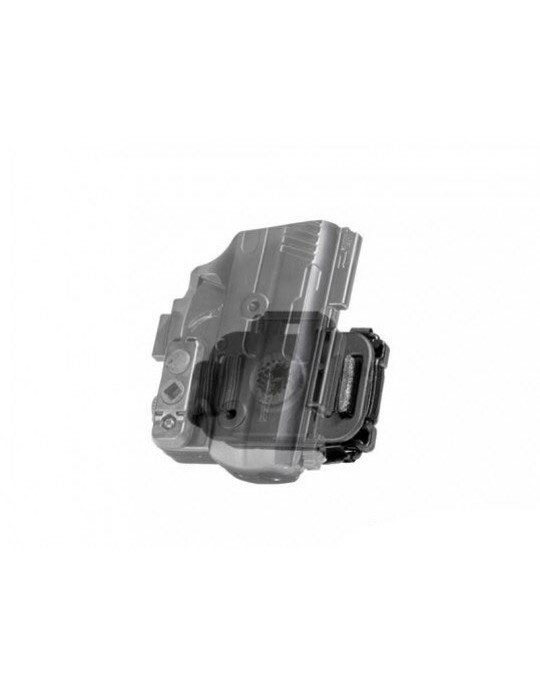 You also won't have to worry about the cracking that develop with brittle poor-quality Kydex - our new shells are injection-molded from a proprietary durable polymer that won't fray, crack or break under almost any condition. 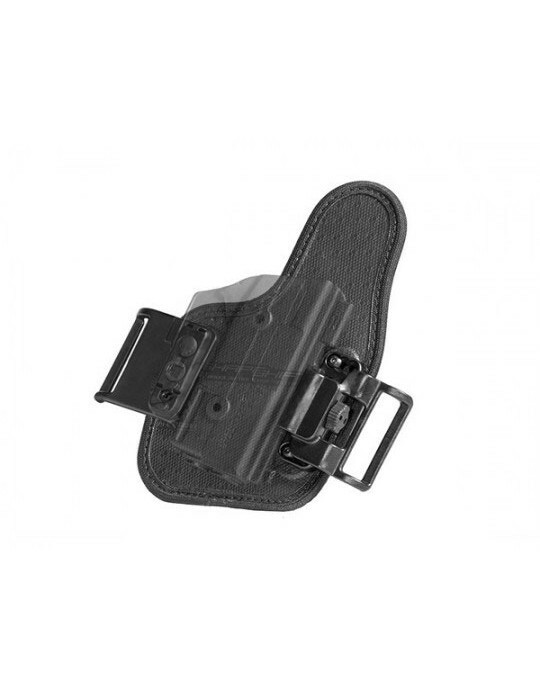 The ShapeShift Shield 9 IWB holster can be had with your choice of belt clips, including standard clips, J-clips, C-clips or our new O-clip IWB belt loops. 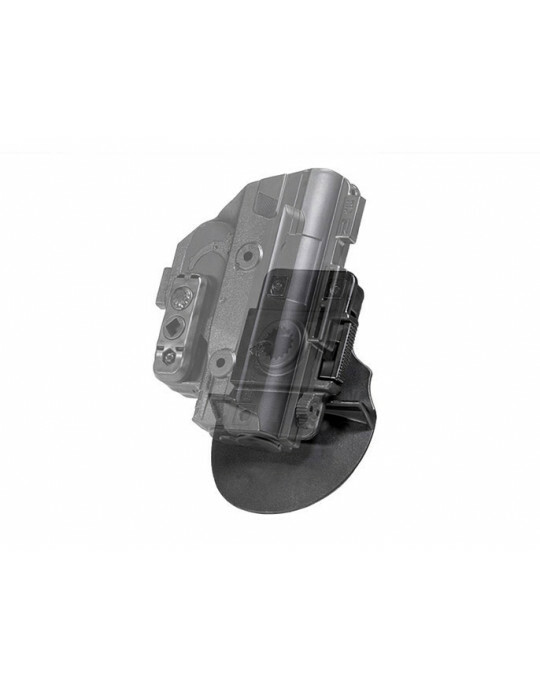 Ride height and cant are adjustable, and with our new locking cam belt clip attachment with the ShapeShift, this can be done without the use of tools. 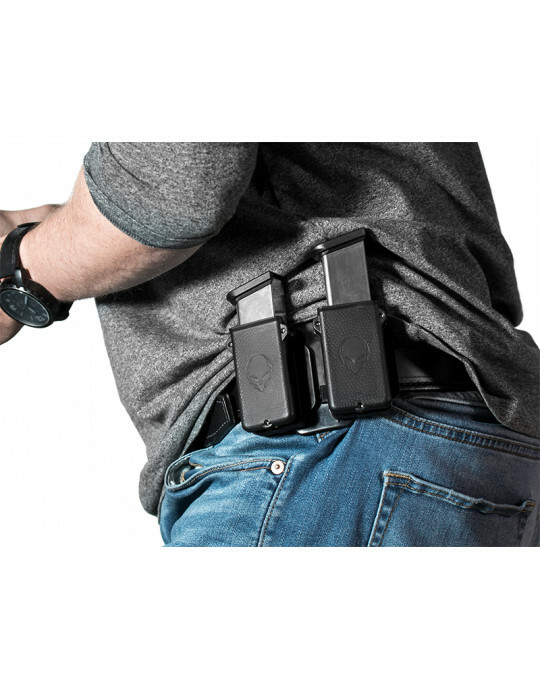 The new ShapeShift Shield 9 IWB holster comes with Alien Gear's Iron Clad Guarantee, including a 30-day "Test Drive" trial period. During the first 30 days of ownership, you can return the holster for a full refund if unsatisfied. You also get a lifetime warranty, against any damage or defect. Isn't it time that your carry evolved? Literally all around the board is a 10. What I really like about this holster is that it is tool less to make adjustments. I love how you can get different shells for all your handguns to fit the holster base. Let me talk about comfort. I received my holster yesterday. I mowed the lawn and washed my truck this morning with my M&P 9MM Shield. Plenty of walking and bending, I could never do this with any other holster I have owned due to lack of comfort. This holster is the most comfortable holster I have ever worn. Which to me is the most important factor in buying holster. It's like your not even wearing a holster even sitting down. The Shape Shift 4.0 holster is one of the best products I have ever bought. The price is great and its a modular system. So in the long run it will save you tons of money. Top notch quality and lots of accessories you can add to it. I love the 30 day test drive and forever warranty. If you tired of wasting money on other holsters try this holster you wont be disappointed. As a police officer since the 1970s, I've owned and tried many a holsters to conceal my firearm. I've used a lot of leather products, or just slide the firearm on my waist or belt. The 4.0 IWB Holster is the best concealing and most comfortable holster I've ever used. And now, I can pull out all those old holsters and hang them on the wall as a good remembrance collection of where technology brought us today.